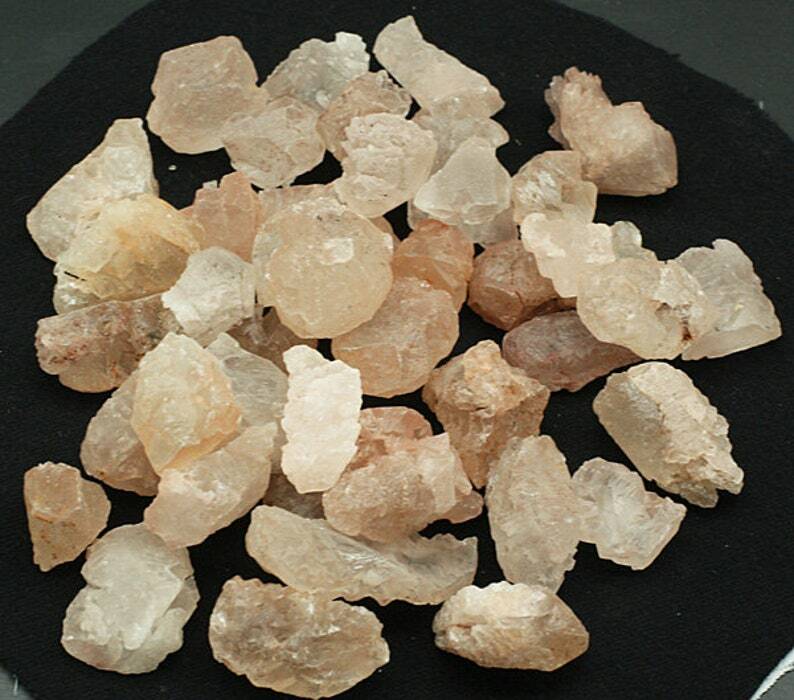 This listing is for ONE crystal of Himalayan "Nirvana" or "Pink Ice" Quartz from Himachal Pradesh, Kullu Valley, Himalayas . These unusual Quartz crystals were first discovered in late 2006 at over 18,000 feet elevation, where receding glacial ice exposed them. Perfect for palm or pocket stones or for wrapping. Crystals weigh between 5 and 11 grams. Average measurement: 2.8 x 1.6 x 1.7 cm., 1.1 x 0.64 x 0.67 inches. They are powerful tools for the Light Worker. They awaken the Heart Chakra and are connected with the return of the Goddess energies. They are a high vibration crystal, that is here to help us in adjusting to coming Earth changes, and are said to align you with your highest destiny. Domestic Shipping for first item is $4, all additional ordered are included with no additional shipping cost; discounted for International! Order as many as you like, only $4 domestic shipping for them all! More beautiful minerals for sale at Rocky Mountain Gem and Mineral CO-OP at www.rockygems.com/store/c118/B_%26L_Minerals_.html#. Gorgeous piece of cactus quartz! Couldn't be nicer. Thank you! Very pretty and clear crystal. Fast shipping too. Thank you! We accept credit card payments through Etsy, PayPal, and personal checks. If you wish to pay with a check, message us and we'll provide the mailing address. We offer 100% satisfaction guarantee. If you don't like your item for ANY reason, just return it and we will refund 100% of the purchase price, no questions asked. We carefully package your beautiful item and ship as quickly as possible, within 3 days at the VERY latest, usually within 1 day.